The recipes in Lost Recipes are for real world, practical, everyday dishes that help solve everyday cooking dilemmas, such what to do with that piece of beef sitting in your fridge. The book is just the right size to sit neatly on your lap for skimming through, and the overall design, printing, and heritage photographs evoke an earlier era when the kitchen was the hub of the household, rather than its showpiece. While the dishes too hark back to that time, they have a timeless appeal… Boiled New England Dinner; Popovers; Wedges of Iceberg Lettuce with Cheddar and Chive Dressing; Vegetable Barley, and Chocolate Social Cake. 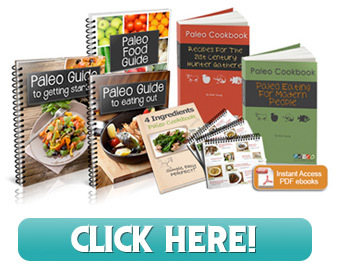 All are simple to prepare using fresh, inexpensive, unadulterated ingredients. The nifty little envelope built into the front cover is a handy place to stash one’s own lost & found recipes from family and friends. 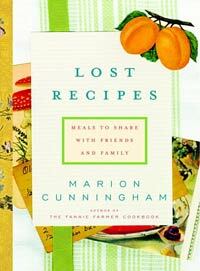 We embrace Marion’s philosophy, “There is nothing like the satisfaction of sharing with others something you have cooked yourself.” Treat yourself or someone with whom you share a love of home-cooked meals—grandmother, mother, sister, friend—to a gift of Lost Recipes. Hi Betty, That’s too bad the recipe did not work. I suggest you contact the publisher directly (Random House) through their website and they will let the author know.